The Rainbow Communications Northeast Kansas Athlete of the Month is Sabetha senior wrestler Kamden Brownlee. Brownlee not only had a solid football season on back to back state titles, he is off to a huge start over the 2018-2019 wrestling season. 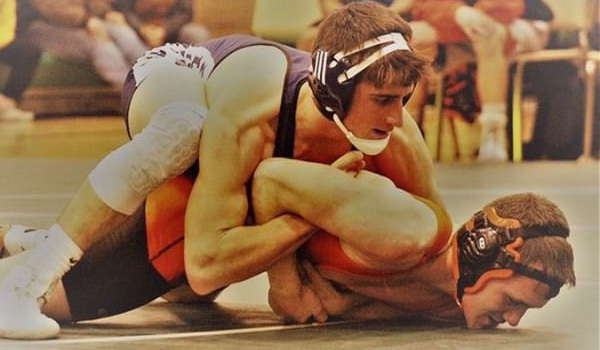 At 145 pounds, he currently is 14-3 on the season. Brownlee is ranked fourth in the latest KWCA Wrestling Rankings. Sabetha, who also features #1 Elliott Strahm at 285 pounds and #4 Cauy Rokey at 220 pounds, is ranked sixth in the state in the latest KWCA 3-2-1A wrestling poll released earlier this week. Rainbow Communications and Sports in Kansas are in partnership to release an athlete of the month from the Northeast Kansas Area at the beginning of the following participation month. To nominate (last 5 days of the month) send email to admin@kansas-sports.com. Our mission at Rainbow Communications is to provide state of the art communications technology at a competitive price. Rainbow Communications aspires to be the trusted local provider who delivers exceptional customer service. Rainbow has offices in Everest, Horton, Hiawatha, Sabetha and Seneca.